The game was created in keeping with the best traditions of Sigma games, no concessions of any kind – everything is just like in real life! • Totally real-life presentation of events – there is a limited munitions stock for each weapon, and it has to be replenished during combat. • Play absolutely free, get daily supply crates that include ammunition, weapons, coins, and ammo. 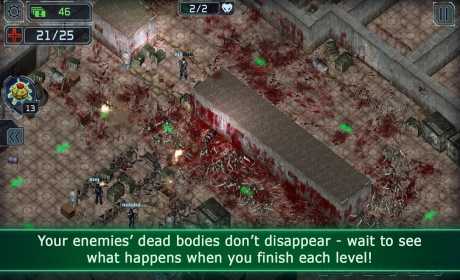 • Your enemies’ dead bodies don’t disappear – wait to see what happens when you finish each level! • Seven character classes with unique characteristics and development possibilities. 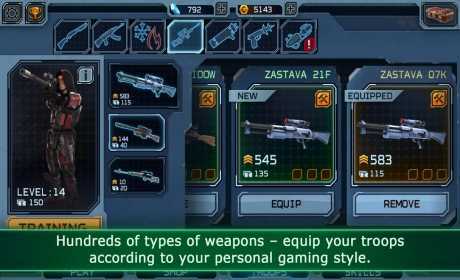 • Hundreds of types of weapons – equip your troops according to your personal gaming style. • Any kind of weapon can be modified by expanding its basic features. You can disassemble it and get money, as well as auxiliary supplies. 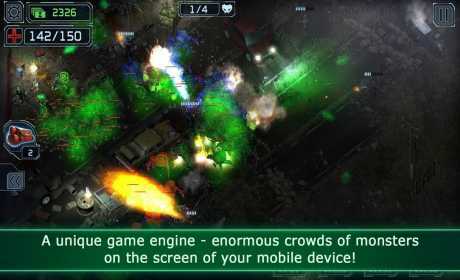 • Send your troops to get training, so they can develop a variety of combat skills. • By combining different kinds of forces, you can develop your own tactics needed to accomplish each mission. • In a critical situation, you can use bombs land mines, as well as supply Drones that will momentarily replenish munitions stocks for all the combatants. And, of course, in keeping with our traditions, there are unprecedented crowds of monsters, plenty of bloodshed and explosions, as well as many other things you would usually see when you play our games on your devices!